a friend of mine (ArjenE) said to me, there is on the other side of the ocean also a community/forum with cabrio enthausiasts so yeah there i am!.. Last edited by Mario on Thu Jun 14, 2012 9:17 am, edited 6 times in total. Welcome to TRF. So you are the owner of that nice red cabby that ArjenE had posted along with his. Very nice. I like the color of your paint is it a custom shade? Did you replace your tail lights with the M3 style tails? I would like to know more about the windscreen that covers the back seat and the one that goes on the roll bar because I really like the look and they would come in handy for cold weather driving with the top down. Like I said before nice Cabby and welcome to the forum. Very nice! And I, for one, would love to see those surf boards mounted! 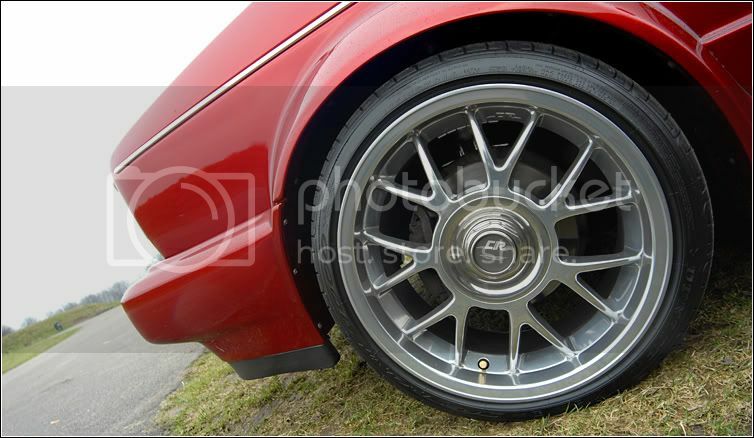 @bbrown, the paint is Candy Apple red, has always the shading, because you paint the car black with flakes, or silver with flakes.. i painted it first silver / flake, and than the candy ink over it.. that gives the shading effect. @kamzcab86. i will mount the boards next week ok? Welcome to the forum, you have a very fine cabriolet. so last time i replaced, the complete brake system for a big brake system from a corrado g60..
now it's time to give the brakes something to do as it had with the right motor!! so my new engine is deliverd !, it's a complete 1.8L G60 and all parts are overhauled.! That should make for a quick little Cabby. Good luck with the swap and keep us informed. next step is, the new gearbox also from G60 corrado. and that will be spring 2010. Glad to see you got that in there. That certainly is one very fine Cabby-she is amazing. boozzeee.. beer.. and we're going to our yearly "Jahrestreffen " means Yearmeeting. 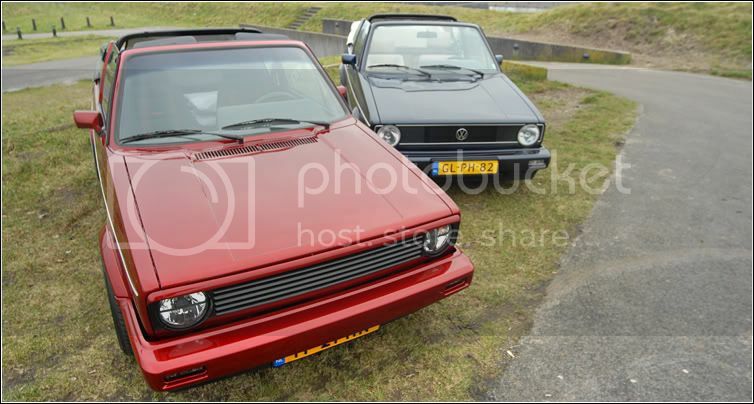 i'm organizing it with the german website golfcabrio.de.. and we staying every year on a big Campsite... so wer'e this year with 170 golf converibles 95 % mk1..
officially it's 1 weekend, but we from golfcabrio.com go a week camping..
sort of short vacation /holliday..
pic's will be shown afterwards..
- Changing headlights to projector lenses HID Bi xenon. - stability strutt under the car front. last but not least... the self made headlight... 6000k bi xenon projector lens. Re: Mario's Candy Apple Red Cabby UPDATE 2011!! Looking sweet, now you need to get those hood struts in Chrome to compliment the strut caps and Strut Bar. Very trick. Looks great. Always a pleasure to see those two cab's. Nice work! And very interesting headlights; I'd love to see them lit up.